Looking for a great deal on car rental in Melbourne? If so, you have come to the right place. AUZ Rental Cars, a leading car rental company, presents the best car hire service to our patrons at very affordable prices in Melbourne. Our professionals render the best solution by providing cars with numerous comfortable features to get around Melbourne at your convenience. Whether you need a car for business or to go on for a vacation in the weekend, car hire in Melbourne would be the realistic solution. We house a range of impressive vehicles which are suitable for sightseeing, airport pickup and drop, business purposes, meeting a friend, etc. without exceeding your budget. Our customers can take advantage of our car rental services to get their transportation needs fulfilled. We cover locations across Melbourne and anyone who wants to travel in and around this city can enjoy seamless car rental services from AUZ Rental cars. Our car rental services are available 24×7, so you can hire the car at anytime of the day. We deliver the car and collect it back at your convenient location without any addition charges. AUZ Rental Cars assures you that you can enjoy your trip in peace of mind knowing that you are traveling in a car in top notch condition. We also employ highly knowledgeable and seasoned taxi drivers who are acquainted with complete route details of the city to ensure that you will reach the intended destination on time with utmost comfort and safety. 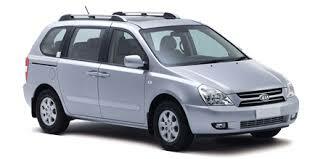 AUZ Rental Cars is aimed at providing best deals and offers on car rental in Melbourne Airport. We ensure that all our customers can hire their preferred vehicle quickly and easily at the best possible prices. We never impose any additional charges and so, our customers can travel across the city at cheap car hire rates. We have vehicles of different makes and models with diverse seater options and so, you can choose from our wide range of cars after giving consideration to your budget and needs. AUZ Rental Cars has the objective of providing startling vehicles to our customers at cheap rental rates. To travel at low fare, call us today!